Milad Daniari resides in New York City and maintains a versatile and dynamic career as an orchestral bassist, chamber musician, and educator. He regularly performs with orchestras along the east coast including the Albany Symphony, Harrisburg Symphony, and the Allentown Symphony, and is currently a member of the Chesapeake Orchestra. From 2015-2018, Milad was an inaugural member of The Orchestra Now, an innovative training orchestra at Bard College, where he served as Principal Bass. In this role, he performed concerts at Carnegie Hall, Jazz @ Lincoln Center, the Metropolitan Museum of Art, Alice Tully Hall, and more. As a member of TON, Milad played under world renowned conductors including Fabio Luisi, Neme Jaarvi, Gerard Schwarz, and Joanne Falleta. Milad has made appearances with the Chelsea Music Festival in New York City as well internationally as Principal Bass with the Grafenegg Academy Orchestra and the Romanian State Symphony at the Alba Music Festival. As a chamber musician, Milad has collaborated with The Sebastians, Verona String Quartet, and the Avanti! Chamber Orchestra (featured on NBC New York). He has also been a featured artist with the Roxbury Arts Group and served as Principal Bass with numerous summer festivals including the National Repertory Orchestra, the Colorado College Summer Music Festival, and the Round Top Festival Institute. As an educator with a passion for social justice, Milad served as a Lower Strings Teaching Artist for the Empire State Youth Orchestra CHIME program (“Creating Harmony in Musical Excellence”), where he dedicated himself to providing access to musical education for students from disadvantaged communities in the Capital region of New York. He also served for one year as an Adjunct Professor of Double Bass on the string faculty of St. Mary’s College of Maryland. Additionally, he is a low strings coach for the Maryland Youth Symphony as well as a double bass mentor in the Classics on Hudson Music Mentor Program. 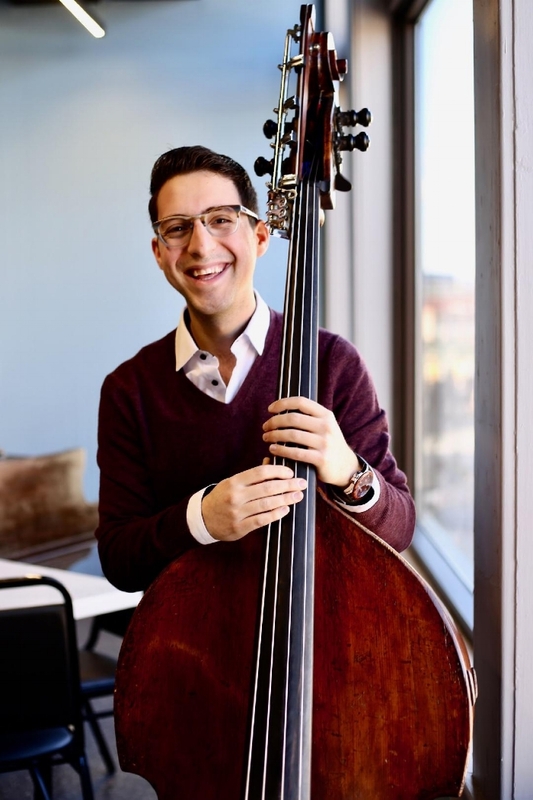 A recipient of the Ambrose Monell Foundation Scholarship, Milad received his Bachelors of Music at the Manhattan School of Music as a student of New York Philharmonic principal bassist, Timothy Cobb. He received his Masters of Music from Bard College.